We choose to [do these things] not because they are easy, but because they are hard. 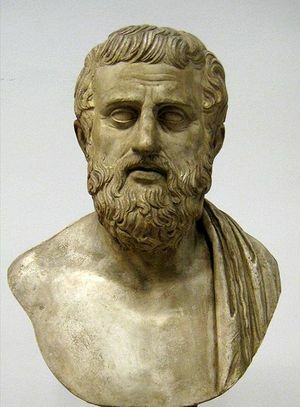 Cast of a bust of Sophocles. Currently at the Pushkin Museum in Moscow, Russia. Photo by Shakko in 2008. How terrible is wisdom when it brings no profit to the wise. The importance of ensuring clarity in written work isn’t all that controversial. The general reason is simple: the total amount of time everyone spends reading something is typically much greater than the amount of time it took one person or one team to write it. 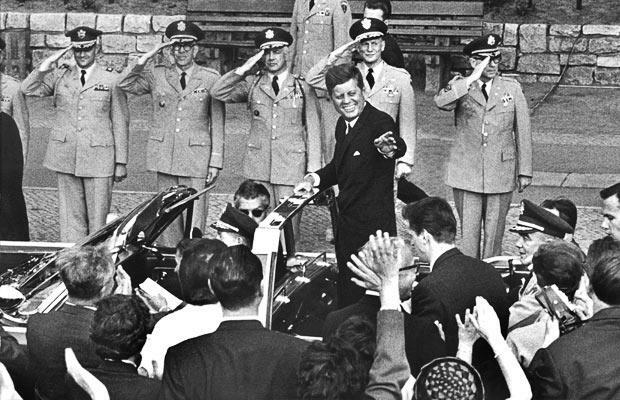 The controversy alluded to is in the bucking of several bad habits that have very large followings. These bad habits fly in the face of clarity, and unfortunately they don’t receive the appropriate level of scrutiny. The first bad habit is a bizarre programming style where curly braces are placed on lines occupied by other text. This is a holdover from antiquity when screen monitors were tiny and every pixel was highly coveted. In that age, you could have made a case for sacrificing clarity in order to have a few more rows of code on the screen at once. 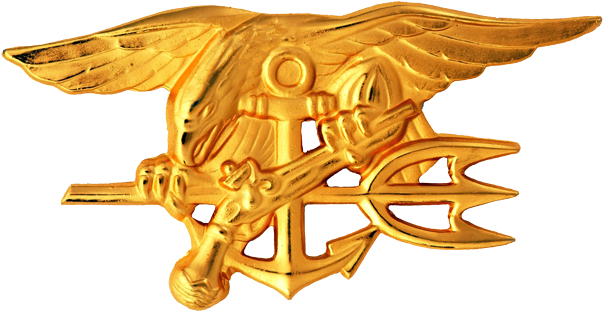 These days it is inexcusable, and when you have to read this stuff, sometimes it can seem almost unforgivable. With the prevalence of huge monitors, multiple-monitor setups, and futuristic code editing tools, why would you make your code harder to read in order to save a few pixels? Screen space is cheap. 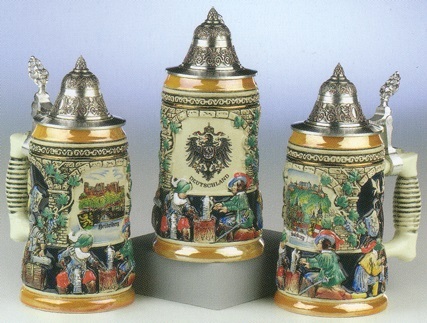 The main difference between the left and the right example above is symmetry. Things that are symmetrical are easier to read. They’re easier on the eyes. Also, on the right, things are more structured and orderly in that the curly braces are on their own lines and so you don’t have to read around them as if they’re clutter. And so, all of that is simply to say, the style on the right is objectively better. Now, if you don’t program and don’t know whether to believe me, try reading the next two fragments and decide for yourself which is better. I’m not aware of any other engineering discipline which creates documents or artifacts that regularly sacrifice clarity in this manner. 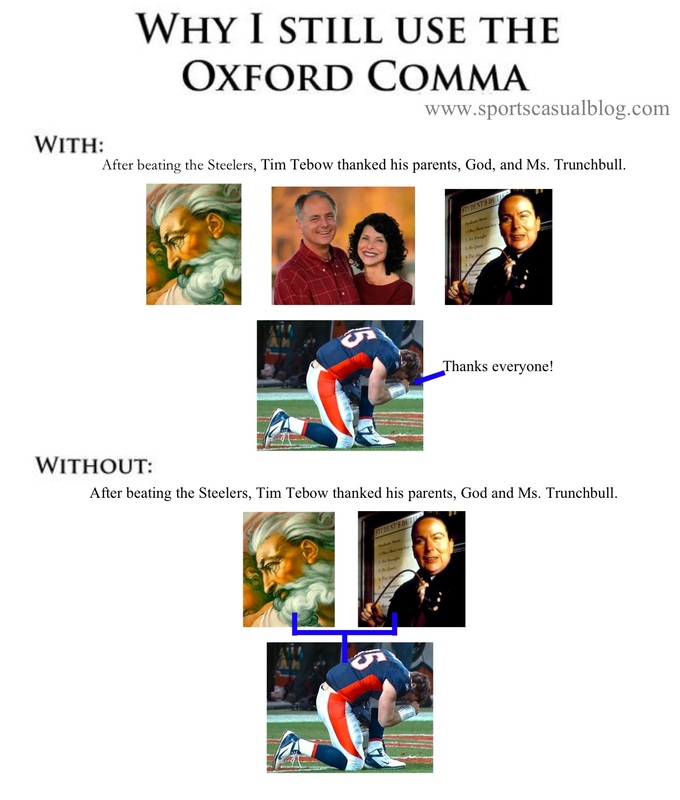 Two other questionable habits involve constructs in the English language: the Oxford comma, and sentence spacing. In both cases, the method that promotes the most clarity ought to be chosen, but yet many people opt for the alternative. I claim we ought to put two spaces between sentences, and we ought to use that final comma when listing things (except in rare cases where it actually introduces ambiguity). 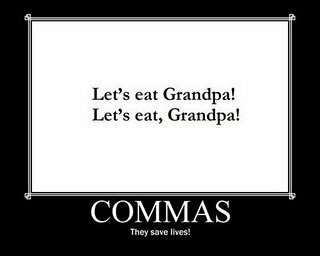 I really believe the Oxford comma speaks for itself. And if there’s any doubt about leaving two spaces between sentences, just consider how many spaces we put between paragraphs, and then think about the reason behind that. If an author merely wanted to express a change in something, such as a new speaker, this could theoretically be done without jumping to a brand new line. For example, a hyphen prefixing the next sentence could indicate this change, and that would be much more economical in terms of space. Of course, we all know which method is used to indicate a new paragraph, and I believe the reason it’s been around for so long is because readers perceive change more easily with the help of additional white space. This type of visual aid is as applicable to sentences as it is to paragraphs. Although the two English language examples sacrifice much less clarity than the programming example, all three are valid subjects for inspection. 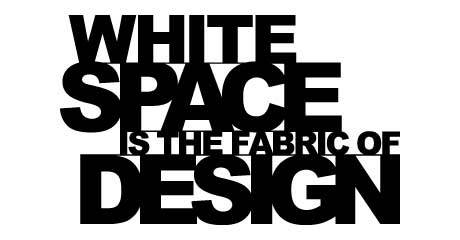 In general, why not adopt the approach which promotes the most clarity, especially if the cost is negligible? The cost of not doing so for any one piece of work is nominal, but in the aggregate, the cost is much larger. 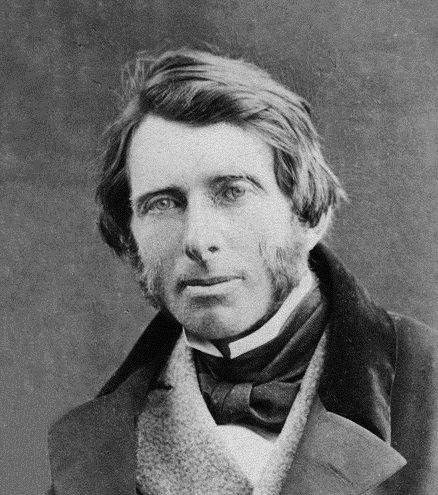 John Ruskin by William Downey on June 29, 1863. One mistake is never, but twice is three times. The problem is what to do when you want a folder system to organize your information hierarchically, and you also want a tagging/labeling system so that each piece of information can also have multiple descriptors assigned to it, but you don’t want to keep the two systems in sync manually. The solution is to treat folders as labels and vice versa. The big implication is that if you apply multiple labels to a piece of information, that piece of information then exists in multiple folders. If you delete it from one of those folders, the corresponding label is also removed. 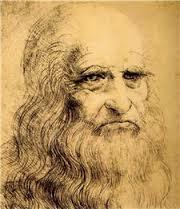 The portrait of a man in red chalk by Leonardo da Vinci, circa 1510. Widely believed to be a self-portrait. Currently at the Royal Library of Turin in Turin, Italy. 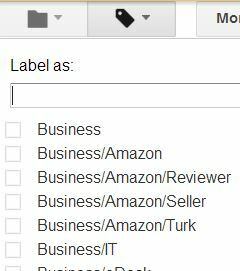 Surely there are businesses with security practices even more dubious than those at PayPal, but relative to a company’s size and capital, I’m not sure any come close when it comes to passwords. 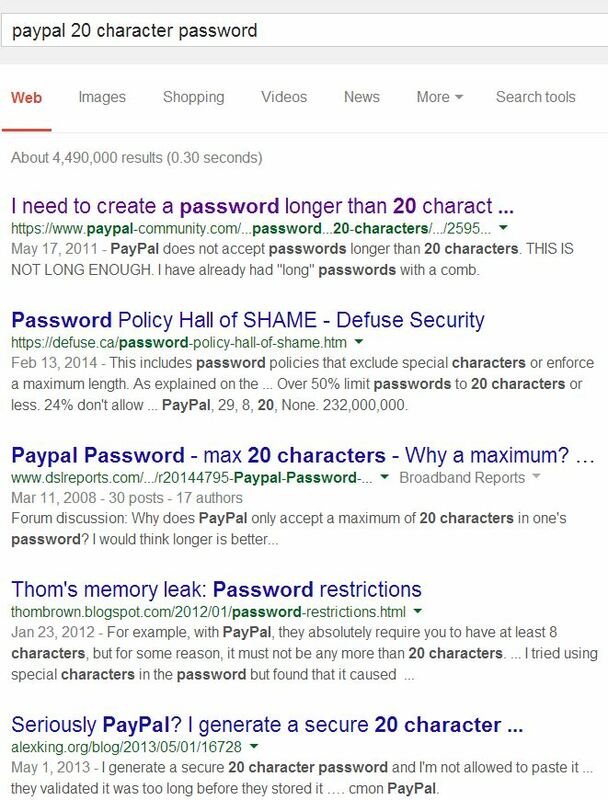 Just do a search for paypal 20 character password. 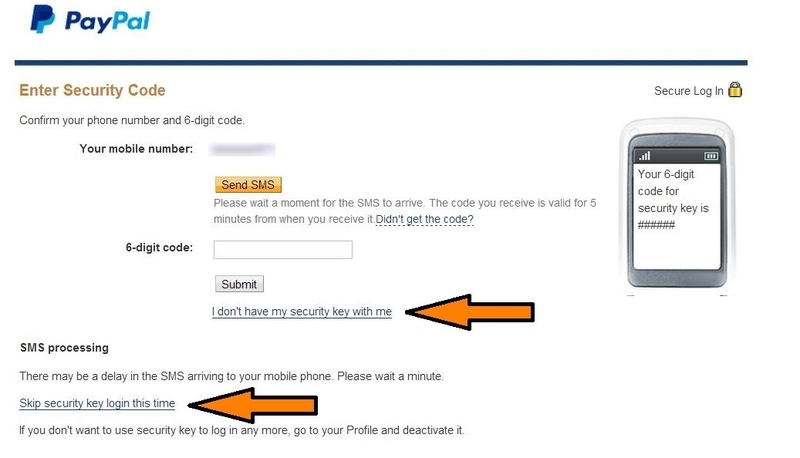 Now, if you’re thinking that you’ll just enable 2-step authentication to mitigate this risk, think again. Look at how PayPal almost appears to be working against you! I’ve been a PayPal member for so long that I can actually remember when Neteller and FirePay seemed like viable competitors. PayPal has always done a pretty good job, but lately I’ve been a little underwhelmed. 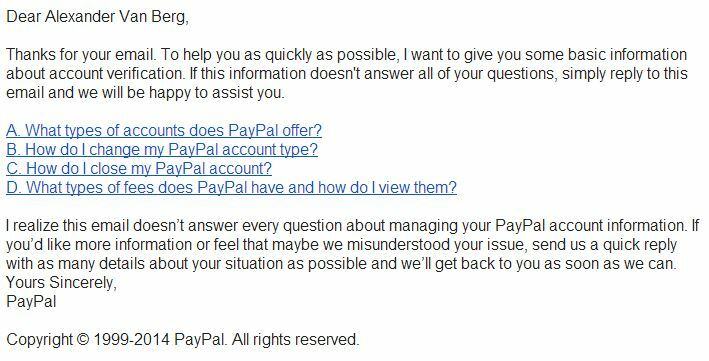 It seems like now when you contact PayPal with a specific question, complete with detailed information, you get an automated email back that refers you to their FAQ. Then they needle you a little, by telling you that you must reply to their automated email with a specific question if you want to get an actual reply. Nowhere in their automated email is your original message to them, so you have to type it all again, or log in to your PayPal account to try to find the message you sent, but that’s something even I couldn’t locate. PayPal quarterly profits regularly exceed $300 million.